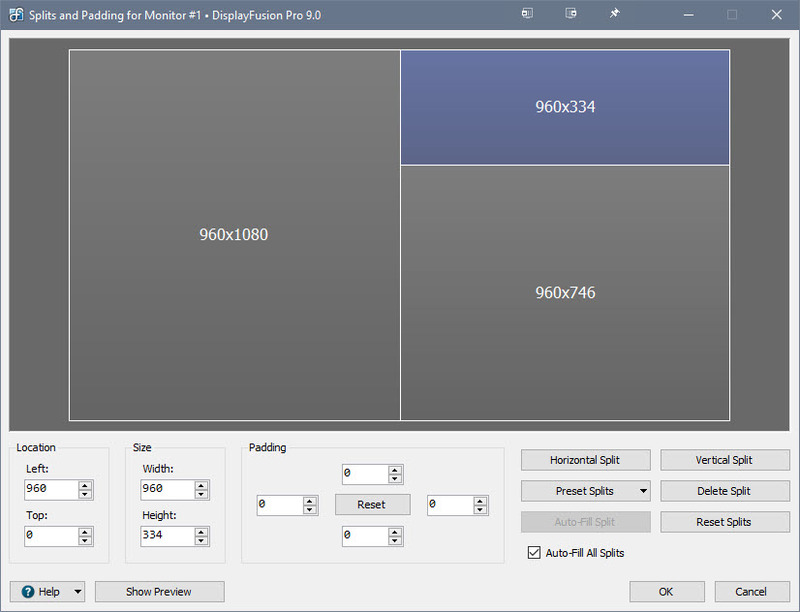 DisplayFusion's Monitor Configuration feature allows you to configure your monitor resolution, orientation, refresh rate, colour depth, and positioning. 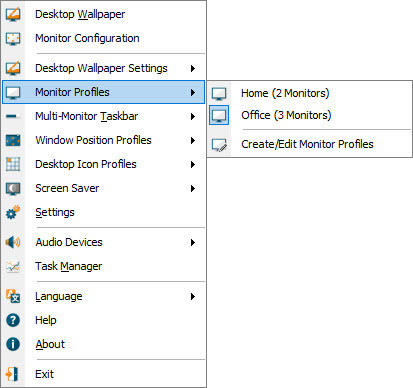 Monitor Profiles allow you to save multiple configurations for easy access later on. 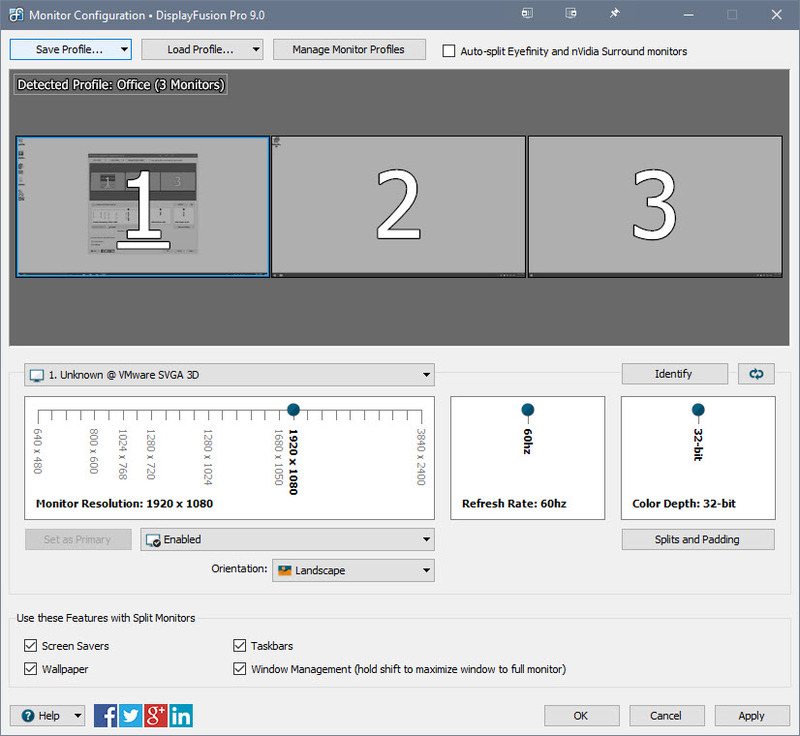 With DisplayFusion's Monitor Profiles, you can create custom layouts for different setups and locations. They can be easily loaded via DisplayFusion's system tray icon, or assigned to DisplayFusion Functions that can be triggered by key combinations or TitleBar Buttons. This makes it especially easy for software developers and testers who change Monitor Configurations frequently. 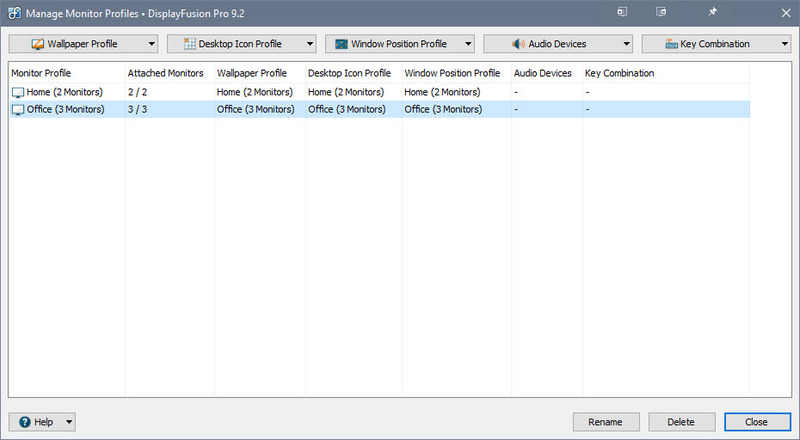 You can even assign Wallpaper Profiles and default audio devices to different Monitor Profiles so that your favourite wallpapers and audio devices for each setup and location are loaded automatically. Monitor splitting allows you to divide your monitor into multiple "virtual" monitors with their own Taskbars, Wallpapers, and Screen Savers. Windows will maximize to the size of the "virtual" monitors, and DisplayFusion Functions, such as "Move to Next Monitor" also take the splits into account. Monitor splitting is great for Nvidia Surround and AMD Eyefinity setups, including ones with bezel corrected resolutions!